Roster positions are starting to shake out now that three weeks of NFL preseason action have concluded. Most notably for Cougar alumns, Devin Unga (New York Giants), and Daniel Sorenson (Kansas City Chiefs), both again had solid outings (eight tackles and three tackles respectively) and should expect to get some playing time this season. In other good news, Kyle Van Noy (Detroit Lions) will reportedly only be out a few weeks with his latest injury. De’Ondre Wesley was also injured during week two but the extent of the ligament damage to his knee is still unknown. Out with injury: Dennis Pitta (Baltimore), De’Ondre Wesley (Baltimore), Kyle Van Noy (Detroit). Waived from teams: Jordan Leslie (Minnesota), Jake Heaps (New York Jets). See below for reports on each of the former Cougs. Ziggy Ansah (DE, Detroit Lions, 3rd season). Ansah was held out and recorded no statistics in Detroit’s 22-17 victory over the Jacksonville Jaguars. Robertson Daniel (CB, Oakland Raiders, UDFA Rookie). Recorded no stats in Oakland’s 30-23 loss to the Arizona Cardinals. John Denney (LS, Miami Dolphins, 11th season). Recorded no statistics in Miami’s 13-9 victory over the Baltimore Ravens. Alani Fua (LB, Arizona Cardinals, UDFA rookie). Recorded two solo tackles in Oakland’s 30-23 loss to the Arizona Cardinals. Spencer Hadley (LB, Oakland Raiders, 2nd season). Recorded no statistics in Oakland’s 30-23 loss to the Arizona Cardinals. Paul Lasike (RB, Arizona Cardinals, UDFA Rookie). Recorded no statistics in Oakland’s 30-23 loss to the Arizona Cardinals. Jordan Leslie (WR, Minnesota Vikings, UDFA Rookie). 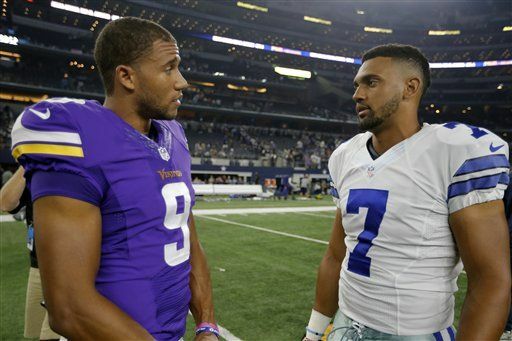 Recorded no statistics in Minnesota’s 28-14 victory over the Dallas Cowboys. Was released/waived from the team on Sunday, August 30th. Devin Mahina (TE, Washington Redskins, UDFA Rookie). Recorded no statistics in Washington’s 31-13 victory over the Baltimore Ravens. Dennis Pitta (TE, Baltimore Ravens, 6th season). Pitta is currently on the injured list (hip) and did not play in Baltimore’s 31-13 loss to the Washington Redskins. Dallas Reynolds (G, New York Giants, 4th season). Recorded no statistics in New York’s 28-18 loss to the New York Jets. Daniel Sorenson (DB, Kansas City Chiefs, 2nd season). Recorded one solo tackle and two assisted tackles in Kansas City’s 34-10 victory over the Tennessee Titans. 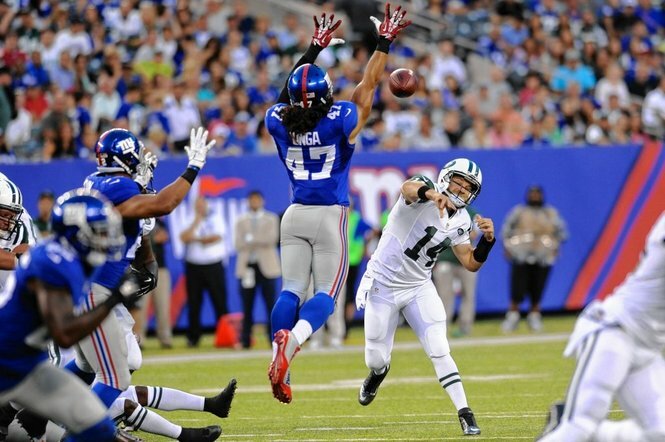 Uani (Devin) Unga (LB, New York Giants, 2nd season). Recorded five solo tackles and three assisted tackles for eight total tackles in New York’s 28-18 loss to the New York Jets. De’Ondre Wesley (OT, Baltimore Ravens, UDFA Rookie). Was injured in Week two (ligament damage in knee) and did not play in Baltimore’s 31-13 loss to the Washington Redskins. Kyle Van Noy (LB, Detroit Lions, 2nd season). Was injured in Week 2 and did not play in Detroit’s 22-17 victory over the Jacksonville Jaguars. Brad Sorenson, (BYU transfer to SUU, QB San Diego Chargers, 3rd season). Threw 6-14 (.429) for 36 yards, 0 TDs and 1 INT, and a QB rating of 20.6 in San Diego’s 16-15 loss to the Seattle Seahawks. Tayo Fabuluje (former BYU student, OT, Chicago Bears, 1st season). Recorded no statistics in Chicago’s 21-10 loss to the Cincinnati Bengals. Jake Heaps (BYU transfer to Kansas, Miami; QB, New York Jets, 1st season). Was waived from the New York Jets. He did play in one series as an NFL quarterback, going 0-1 in the week 2 preseason game. 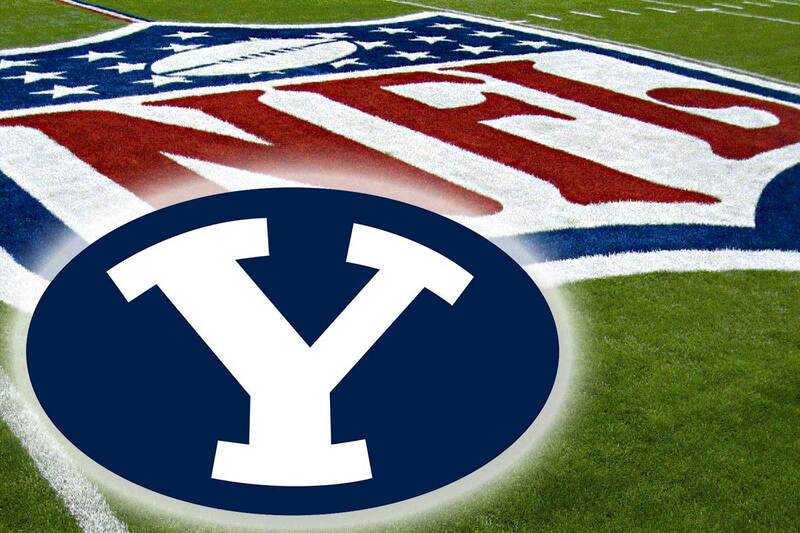 None of the four BYU players with mini-camp invites found roster positions (Harvey Jackson, Carolina; Skye PoVey, Green Bay; Solomone Kafu, Arizona; Ross Apo, Seattle).